“Reading Consultants” play a pivotal role in Rawi Screenwriters Lab as they carefully go through all the submitted scripts making sure the ones selected are those showing promise and most likely to benefit from the lab. Dena is an in demand director/writer/producer who has successfully built and run multiple entertainment companies, inside the studio system and independently. Recognized for her work with top honors at multiple festivals (Toronto, Seattle, Indiana, NYFF), as well as having a track record for her work being acquired by major distributors, Dena continues to make media in multiple formats that is compelling and commercial. After beginning her career at Gold Circle Films (MY BIG FAT GREEK WEDDING, WHITE NOISE), she decided to jump to a position that combined her creative and production skills. She moved on to run Just Singer Entertainment (principles Sheri Singer and Steve White) In this capacity, she sourced and brought from concept to completion movies for Disney's specific mandate including such projects as HALLOWEENTOWN 1-3, READ IT AND WEEP, COW BELLES, GO FIGURE, and NOW YOU SEE IT. In addition, she worked on the SoapNet's flagship series ONE MINUTE SOAPS. She then ran the feature side of Slate of Eight, LLC (principle Alan Jacobs; AMERICAN GUN, NINA TAKES A LOVER), where she developed a dozen viable film projects in budget ranges from 3 million to 80 million. Her feature project DOWN FOR LIFE, starring Danny Glover and Snoop Dogg, premiered at the Toronto International Film Festival in 2009. She produced A LITTLE HELP, Michael J. Weithorn’s (KING OF QUEENS, NED & STACEY) feature directorial debut starring Jenna Fischer and Chris O’Donnell, which released theatrically in July 2011 to rave reviews in the LA Times, NY Times, and received 3.5 out of 4 stars by Roger Ebert. In the past 3 years, she has directed 3 features (2 narrative, 1 documentary) and is currently shooting another documentary. She has been hired to write two features based on other producers ideas, with rave reviews from both hiring companies. She is a contributing writer to beautyandstyle.com <http://beautyandstyle.com> , AND Magazine, homeandgarden.com <http://homeandgarden.com> and dogift.com <http://dogift.com> . She attended Stanford University (BA, MA), served 4 years on the Board of Directors for Stanford in Entertainment, and was named a 2009 Stanton Scholar and artist representative for The Aspen Institute’s Socrates Seminar on the relationship between business and government. She also served 3 years on the Board of Directors for the Mobile Film Classroom, a 501c3 charity organization focused on empowering disadvantaged children by teaching storytelling and filmmaking skills. Denise Carlson is a producer and development executive with 20 years of experience in the entertainment business. She was at Disney Channel for nine years and was the Director of Original Movies, responsible for overseeing the development and production of 47 television movies, including the megahit HIGH SCHOOL MUSICAL, as well as other highly successful films such as WENDY WU, HALLOWEENTOWN and THE CHEETAH GIRLS movies. Under her D’veloping Pictures banner, Carlson made the movie BAD HAIR DAY for Disney Channel. She is also developing the features CROSSING THE SAGAMORE, WAKE UP LITTLE SUSIE and THE DECOY. She is also developing several series such as UNCHAINED and FLIRTING WITH DANGER with director Ted Kotcheff and producer Josanne Lovick. Carlson teaches producing at New York Film Academy’s Los Angeles campus. She has done consulting work for The Hub children’s network and for ABC. She is also on the board of the LA Femme film festival, which is dedicated to presenting films that are made by and about women. Hisham Bizri is a film director, writer, producer and scholar born in Beirut, Lebanon. He started working in films in the US and Hungary with filmmakers Stan Brakhage, Raoul Ruiz and Miklós Jancsó, and has directed 25 short films to date. He taught film at MIT, UC Davis, NYU, Boston University, The School Museum of Fine Arts (Boston), the University of Minnesota and in Lebanon, Korea, Japan, Ireland and Jordan where he initiated a number of academic film programs. His students have gone to study film at NYU, USC, AFI, UCLA, La Fémis (Paris) and FAMU (Prague). Most recently, Bizri has served as Professor of Filmmaking and Screenwriting in the Literary Arts Department at Brown University. 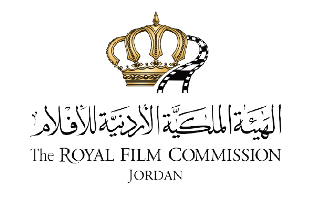 He has also partnered with The Royal Film Commission - Jordan (RFC) to create “The Documentary Film Studio” to produce films by local filmmakers. Bizri's work has been shown in international venues including Sundance, Cannes, Berlin, Oberhausen, Moscow, and Abu Dhabi film festivals as well as the Louvre, Institut du Monde Arabe, Cinémathèque Française, Centre Pompidou, MoMa, and Anthology Film Archives (NY). He is recipient of awards such as the McKnight, Salomon, LEF, Jerome, Rockefeller, Guggenheim, and “the Rome Prize” from the American Academy. 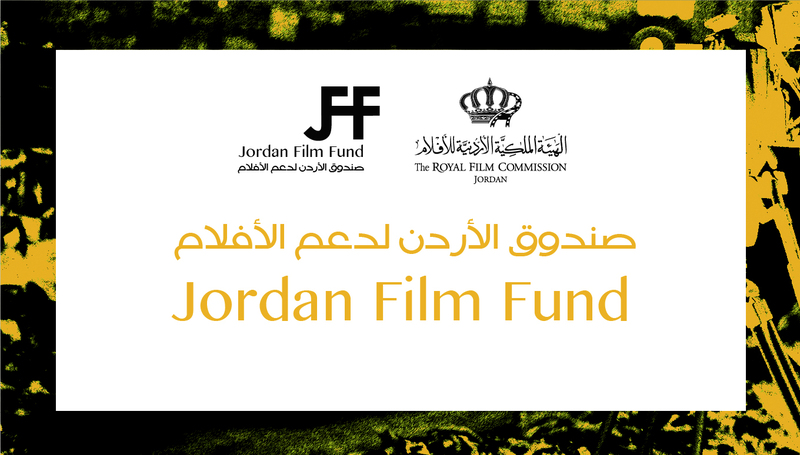 In 2005, Bizri co-founded The Arab Institute of Film (Amman, Jordan) with the Syrian filmmaker Omar Amiralay and Danish producer Jakob Høgel, with support from the Danish government, International Media Support (Denmark), and the Ford Foundation. He served as Producer at Future TV (Lebanon), Creative Director of Orbit Communications Company (Rome/Dubai/Beirut/Cairo), and President & Creative Director of Levantine Films (NYC). On his website, Bizri lists the films he appreciates, including: "Arabic Series" (Stan Brakhage, 1981), "Red River" (Howard Hawks, 1946), "The Sun Shines Bright" (John Ford, 1953), "Au Hasard, Balthazar" (Robert Bresson, 1966), "Gertrud" (Carl Theodore Dreyer, 1964), "The 47 Ronin" (Kenji Mizoguchi, 1942), "The Earrings of Madame de..." (Max Ophuls, 1953), "India: Matri Bhumi" (Roberto Rossellini, 1959), The Tarnished Angels (Douglas Sirk, 1957), and "The Masseurs and a Woman" (Hiroshi Shimizu, 1938), as well as the films of D. W. Griffith and Gregory Markopoulos. 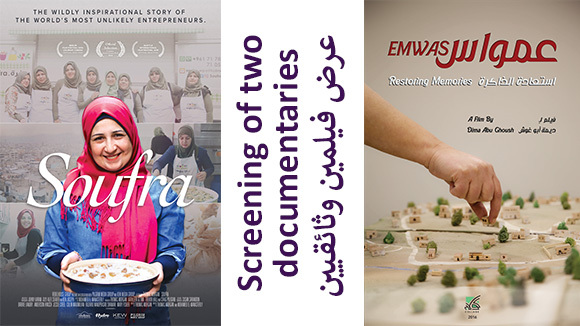 Viola Shafik, PhD, is a freelance filmmaker, film curator and film scholar. Currently, she holds the position of a researcher at the arts dept., Ludwig Maximillian University. She authored among others: Arab Cinema: History and Cultural Identity, AUC-Press, Cairo, 1998 and Popular Egyptian Cinema: Gender, Class and Nation, AUC-Press, 2007. She taught at the American University in Cairo, the Zürich University, the Humboldt Universty and the Ludwig Maximllian Universtiy. Shafik was the Head of Studies of the Documentary Campus MENA programme 2011-2013. Moreover; she worked as a consultant for La Biennale di Venezia as well as the Dubai Film Connection and is a member of the selection committees of the Rawi Screenwriters Lab, the Doha Film Institute and the World Cinema Fund (Berlinale). She directed several documentaries, most notably: Jannat `Ali-Ali im Paradies/My Name is not Ali (2011) and Arij - Scent of Revolution (2014). 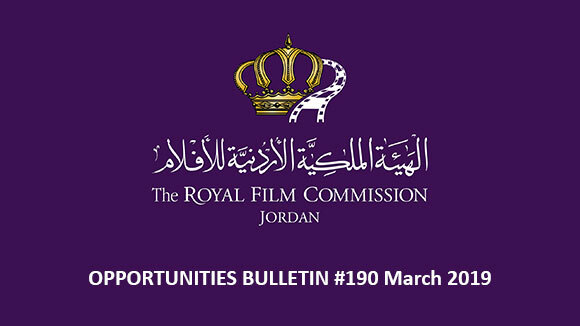 Ahmad Ameen is a screenwriter who began writing in 2006 and after taking several screenwriting training programs at the Royal Film Commission – Jordan (RFC). He has written and produced a few short films before his first feature screenplay Transit Cities, directed by Jordanian filmmaker Mohammad Al Hushki in 2010. Transit Cities premiered at the Dubai International Film Festival and received two awards, the International Association of Film Critics Award/FIPRESCI for Best Feature Film and the Muhr Award Special Jury Prize. 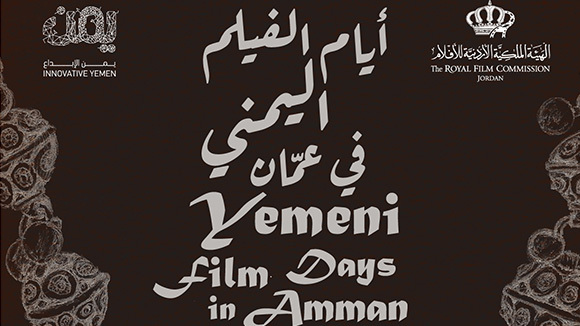 In 2011, Ameen wrote his second feature screenplay, A Few Days in Syria, which has received support from the Rawi Screenwriters Lab and the Med Film Factory training programs of the RFC as well as from the Arab Fund for Arts and Culture (AFAC). Under her supervision, Carlson made the movie BAD HAIR DAY for Disney Channel. She is also developing the features CROSSING THE SAGAMORE, WAKE UP LITTLE SUSIE and THE DECOY. She is also developing several series such as UNCHAINED and FLIRTING WITH DANGER with director Ted Kotcheff and producer Josanne Lovick. Born in 1974 in England, Lucas Rosant now lives and works in Paris. After graduating from a French Business School, he has been soon involved in short film production and sales with the New York University (NYU – Tisch School of the Art). He then worked for the organization and programming of several International Film Festivals, among others La Quinzaine des Réalisateurs (Directors’ Fortnight, Cannes), Marrakech International Film Festival (Morocco), Premiers Plans d’Angers (France), Paris Cinema International Film Festival. He also created and headed for 7 years the Paris Project, the co-production and development platform of Paris Cinema IFF. In parallel, he has been or is still consulting and matchmaking since many years for different co-production forums and festival markets as Crossroads - Thessaloniki International Film Festival (Greece), Dubai Film Connection - Dubai International Film Festival (UAE), Open Doors – Locarno International Film Festival (Switzerland), Producers Network – Cannes Film Market (France), Produire au Sud - 3 Continents Film Festival (Nantes, France), HAF (Hong Kong Film Financing Forum), Durban Filmart (South-Africa), Berlinale Coproduction Market (Germany), the Cinemart (Rotterdam Film Festival) and Venice Film Market. Rosant also joined the EAVE network in 2010, the reading committee of the Hubert Bals Film Fund in 2011 and was appointed senior expert for the Euromed Audiovisual III. He recently created his own production and consulting company Melia Films which co-produced The Dream of Shahrazad (François Verster, South Africa, 2014, Best South African Documentary – Durban IFF 2015), Remote Control (Byamba Sakhya, Mongolia, associated producer) and carried out of a diagnosis and strategic development plan for the FESPACO (Festival Panafricain de Ouagadougou) and MICA (African Film Market) commissioned by the European Union in 2013 as well as a collection and an analysis of data on artist's status in ACP countries (Africa, Caribbean, the Pacific) for the program ACP-Cultures+ (supported by the European Commission). Marjorie Bendeck Regalado is from Tegucigalpa, Honduras. She studied music, communication science and marketing (BA) before moving to Mexico City to engage in film studies at the National Cinematheque and act as producer for photography exhibitions, international events and short films. She completed a graduate course in film production at the International Film School in Cuba (EICTV) in 2002 and worked for the industry office of the Havana Latin-American Film Festival. In 2003, she honed her skills in script assessment, film development, international financing, sales and marketing at the Recorded Picture Company (Jeremy Thomas) and Hanway Films in London. She then moved to Germany, where she headed the selection committee and the participants' coordination of the Berlinale Talent Campus until 2012. Her present involvement with the Berlin International Film Festival includes selection work for the special series NATIVe - A Journey into Indigenous Cinema, the Co-Production Market and the Talents' Script Station. Bendeck has been part of international selection committees and juries, including Locarno Open Doors and the Trinidad and Tobago Film Festival. Her teaching experience comprises workshops at the EICTV in Cuba as well as the Catalan Open University in Spain, besides pitch training, most recently at Connecting Cottbus in Germany, the Mediterranean Film Institute in Greece and the Guadalajara Talents CoProduction Meeting in Mexico. In 2015, she completed an MA in organizational psychology. Bendeck currently works as script and selection consultant for Ateliers du Cinema Européen - ACE Producers Network and evaluates feature film projects for the Creative Europe - MEDIA Development Fund as well as the Berlinale's World Cinema Fund. Aladdin Qaraqish is a writer who works with TV/Film producers, filmmakers and everyone in the creative industry to tell their stories in the most creative and suitable format possible. Aladdin writes for inspiration and profession, he believes writing is a means of expression and entertainment. Aladdin focuses on a combination of creativity and promptness; in order to deliver the most innovative and creative content that meets the deadline. Adaptability is an essential skill that Aladdin has, through it, he manages to shape his thoughts and hone his imagination in ways that serve the required goal. Aladdin has worked with several production houses and animation studios, mostly in the MENA region, including Rubicon, with whom he developed several series bibles, and worked on various other projects. He also worked with Na3m on developing their Saudi Girl Revolution IP. Aladdin joined Emmy Award Winners Arab Telemedia Group in 2012, as a senior writer on the ambitious Sci-Fi Drama Medina, then he wrote and co-wrote several shows including a Historical Fantasy titled “The Mad Arab”, and a historical show about the renowned Andalusian philosopher “Averroes”. Aladdin recently joined a team of writers to develop Netflix’s first locally produced show in Jordan. Aladdin holds a Bachelor’s Degree in Fine Arts from Egypt and a Masters’ Degree in Cinematic Arts from the Red Sea Institute for Cinematic Arts, concentrating in Screenwriting. David Pope is a filmmaker, script consultant and training provider working internationally. He has worked as script consultant on single projects and slates in US, Europe, Middle East, North Africa and Asia including work with Academy Award and BAFTA nominated producers and screenwriters and national film funds. In 2016-2018 four feature films and one television drama for which David provided script consultancy services have been greenlit into production. He is the annual consultant / moderator for the Rotterdam Lab at CineMart and co-founder of Stowe Story Labs. David is the director of advance films with whom he has slate of projects. Currently in development with feature film THE BELONGING and television drama RECONSTRUCTION. David recently completed a commission writing the latest draft of the European co-production thriller TEMPELHOF and has recently been commissioned to write the international co-production psychological thriller RULIN. Directing credits include the award winning feature film MILES FROM NOWHERE. Denise Carlson is a producer and development executive with over 20 years of experience in the entertainment business, at companies including William Morris and Disney. At Disney Channel she was the Director of Original Movies, responsible for overseeing the development and production of 47 television movies, including the megahit HIGH SCHOOL MUSICAL, as well as other highly successful films such as WENDY WU, HALLOWEENTOWN and THE CHEETAH GIRLS movies. Under their D’veloping Pictures banner Denise and her partner Dawn Wolfrom made the movie BAD HAIR DAY for Disney Channel. They are also developing the features CROSSING THE SAGAMORE, WAKE UP LITTLE SUSIE and the series THE FAERIE CHRONICLES. In addition Denise is developing series projects including UNCHAINED, FLIRTING WITH DANGER and BIG LEAGUES. Denise has done consulting work for several companies including ABC, The Hub children’s network and Basil Street Productions, and she is a producing instructor at New York Film Academy’s Los Angeles campus.. She is proud to be on the board of the LA Femme film festival and to help celebrate films by and about women. Pamela Biénzobas is a Chilean-French film critic, journalist and consultant, graduated from University of Chile's Journalism School. Since 2002 she lives in Paris, where she followed postgraduate film studies at universities Paris X and Paris VIII. As a freelance writer, she has contributed to a number of daily newspapers (Chile's La Tercera, El Mercurio...), magazines (L'Avant-Scène Cinéma, Filmkrant, Senses of Cinema, Revista IN, GQ Latin America...) and books (Larousse's Dictionnaire Mondial du Cinéma, El novísimo cine chileno…). She co-founded Revista de Cine Mabuse.cl (active until 2016) in 2002. She wrote the booklet "Errancias" for the Ibero-American film association Cinema23, and is an adviser for their Fénix Awards. Vice-president of the Académie des Lumières, of foreign journalists supporting French cinema through the Prix Lumières. Jury member for the Arab Cinema Center’s Critics’ Awards for 2018. Former vice-president of FIPRESCI (2005-2010), still in charge of coordinating special awards such as the Grand Prix or the FIPRESCI prizes in Cannes. 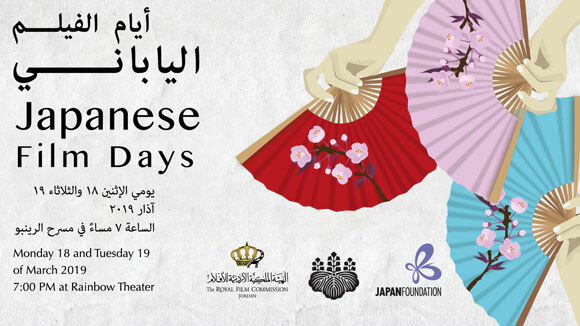 She has a long experience as a consultant for film funds and special programs, evaluating applications, nominating candidates or coaching and accompanying projects for pitching (Rolex Mentor & Protégé, Doha Film Institute, Biennale College, Torino Film Lab, Rockefeller Foundation’s Bellagio Residency, Abycine Lanza industry event…); as a moderator of Q&As, master-classes and press conferences for film festivals (Rotterdam Film Festival, Berlinale Forum, Gijón Film Festival, Transatlantyk Lodz…), and programming (film cycles, Chilereality documentary festival – now extinct).